It’s the wind and waves. 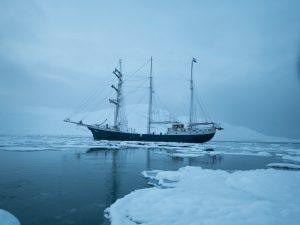 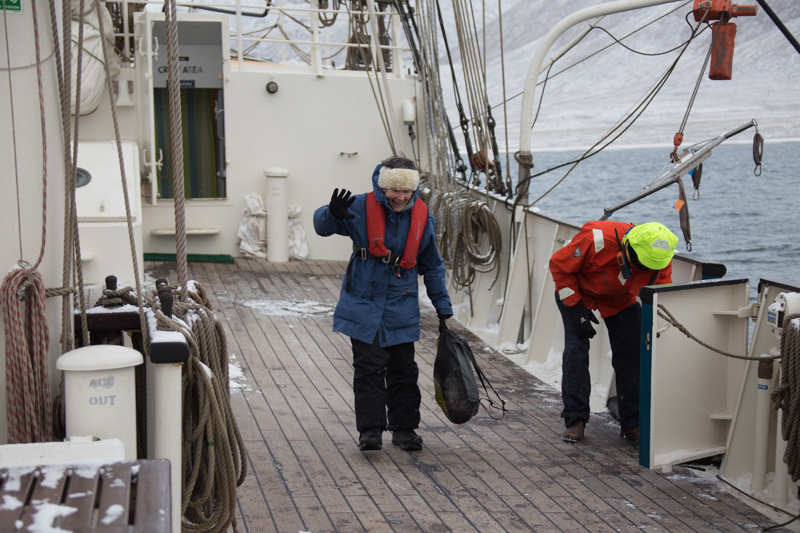 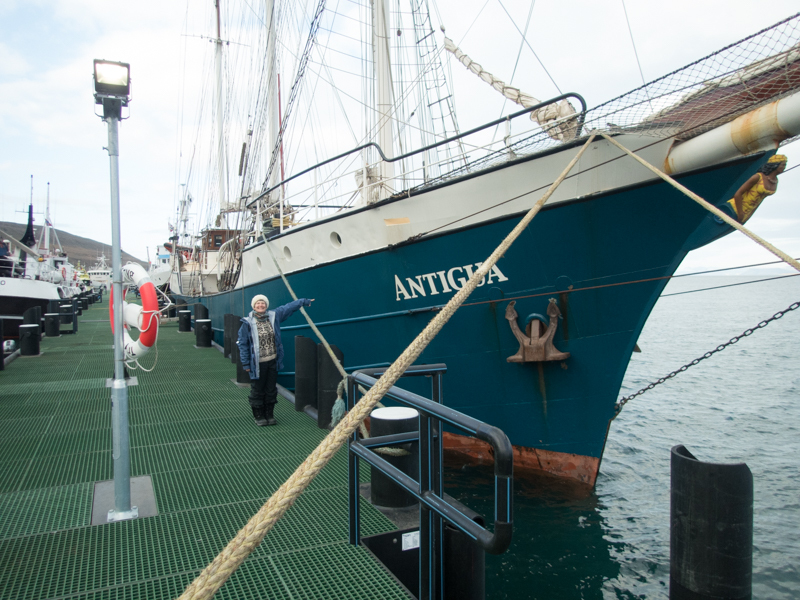 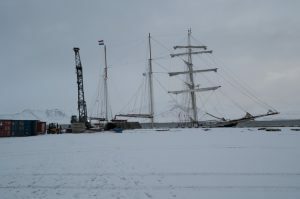 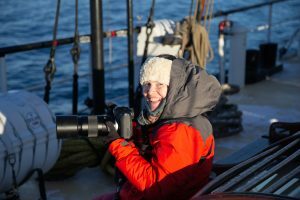 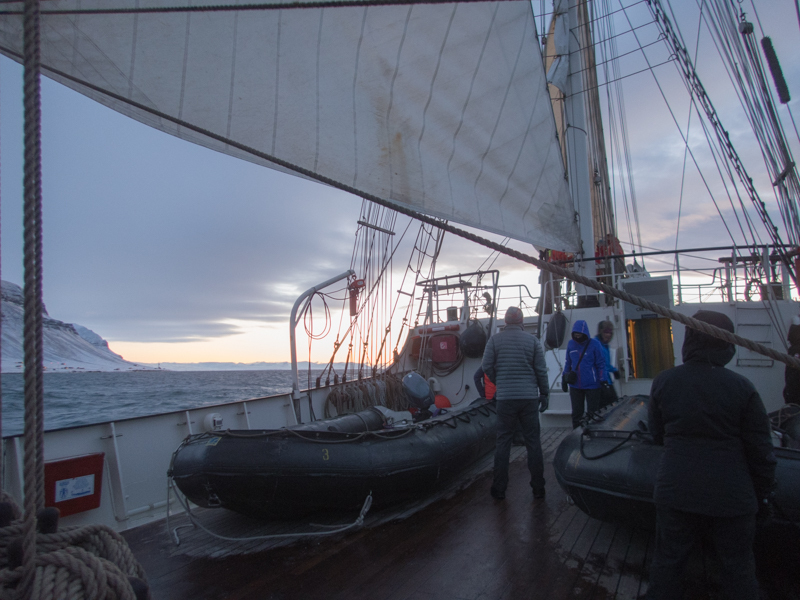 The wind and waves determine the way we journey on the tall ship Antigua in the Arctic waters of Svalbard. A Force 8 gale was predicted for most of the following week… so the wind and waves were already penciling in our journey as we boarded the ship in Longyearbyen in Svalbard. 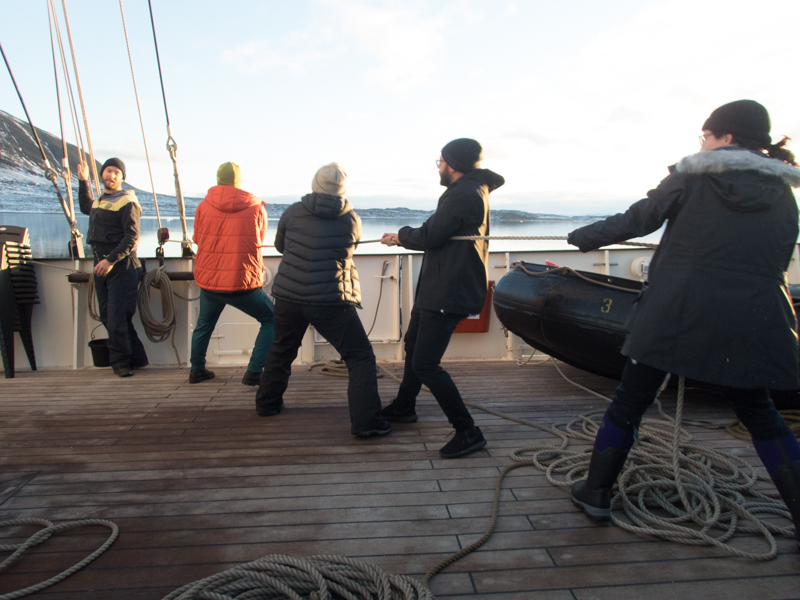 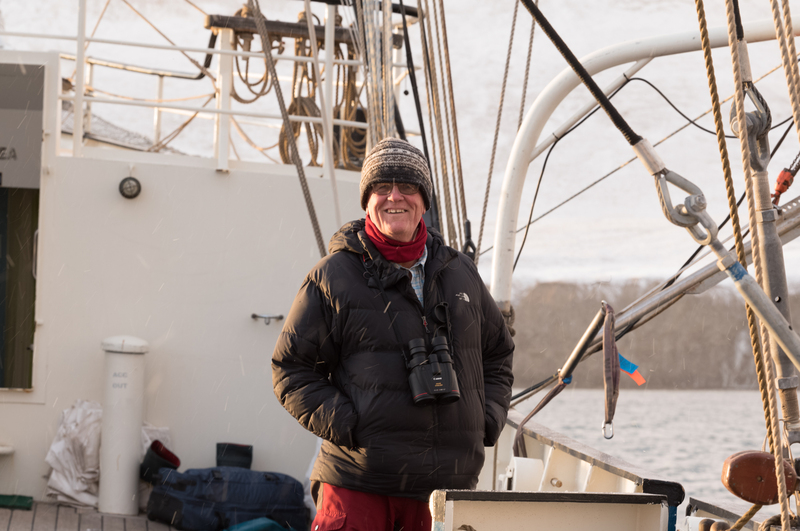 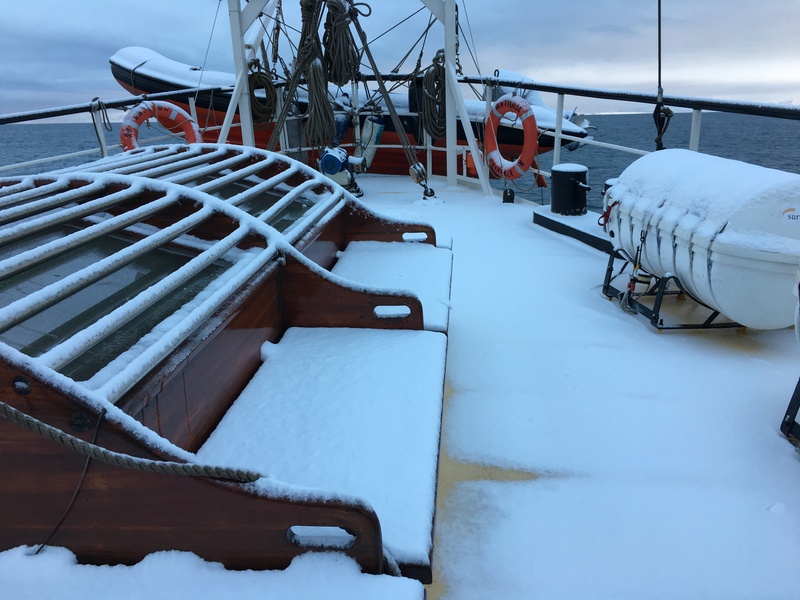 I’ve been anticipating this journey for 18 months … and as the crew cast off the thick yellow rope from the mooring in Longyearnyen… if felt quite surreal feeling the gentle movement of being on the water again. 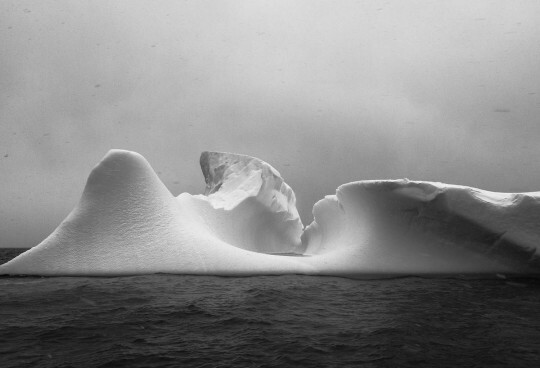 I love the ocean.  I feel comfortable there. I feel more land-sick returning to land than sea-sick on the ocean. I did however have a hefty supply of fresh ginger and ginger tablets – ‘just-in-case’. 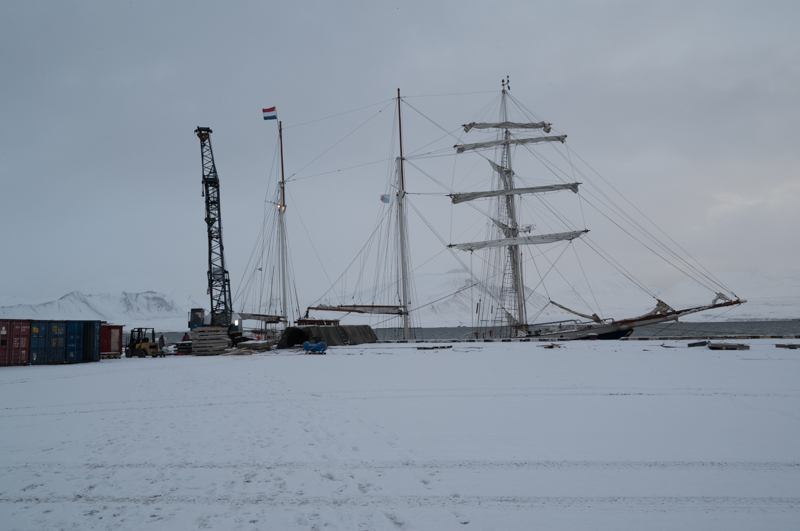 I’ve now returned from this incredible journey to the Arctic and have my ‘land-legs’ back, and I’m back on the grid, so I would like to share some my experiences in the Arctic; and follow with our journey from Oslo to London in our 1921 Vintage car – Rosie. I’ve always loved boats; and so does Max! 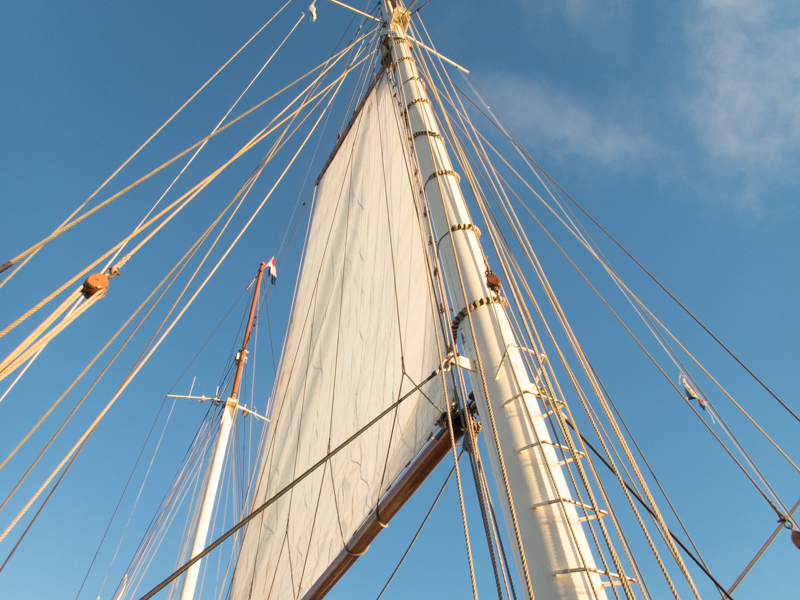 I helped my dad build one as a child… then sailed small sailing boats with our family into my late teens…. 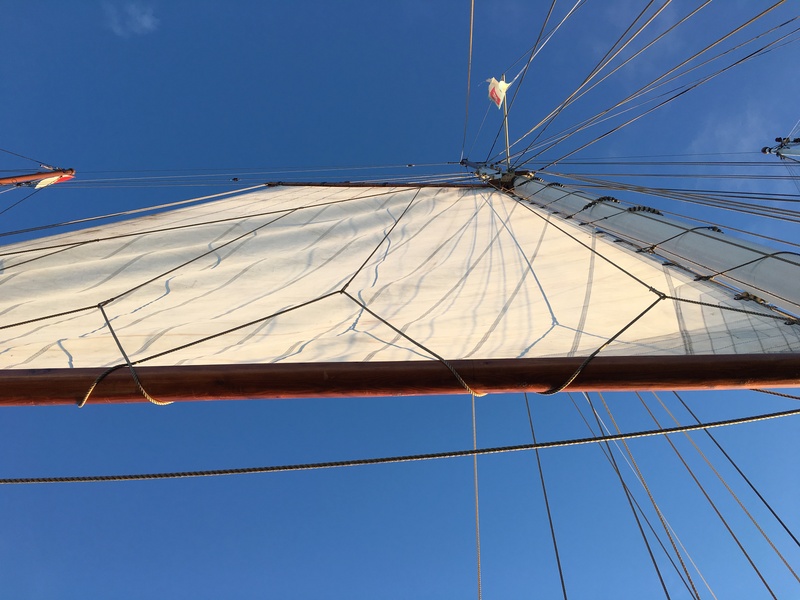 then sailed larger catamarans in the Whitsundays with our children… and now as a passenger on a barquentine tall ship in the Arctic…. 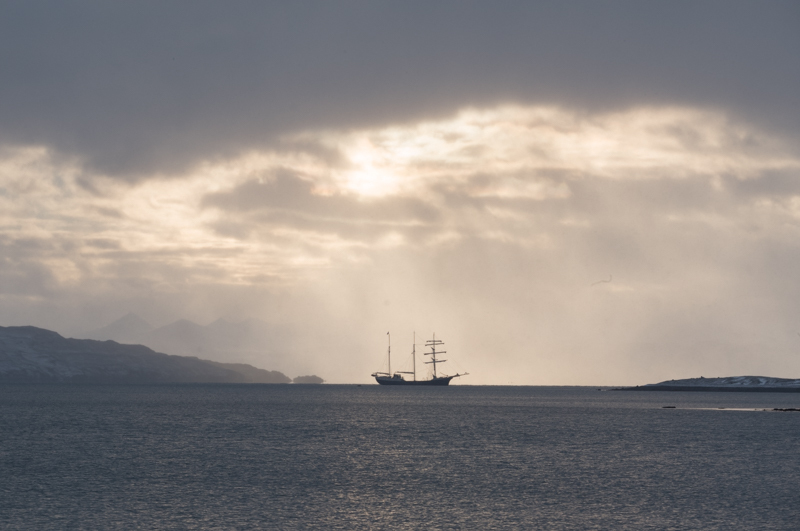 well… that puts sailing on to a whole new level!! 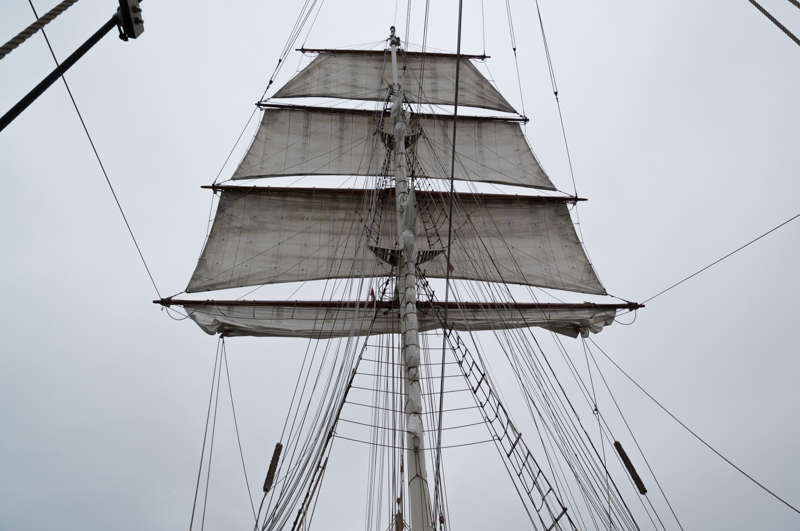 There are a LOT of sails! 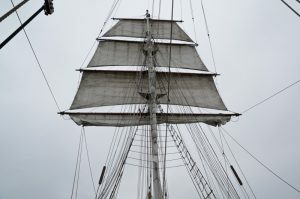 Three masts with the front mast being square rigged and the other two masts rigged fore and aft. 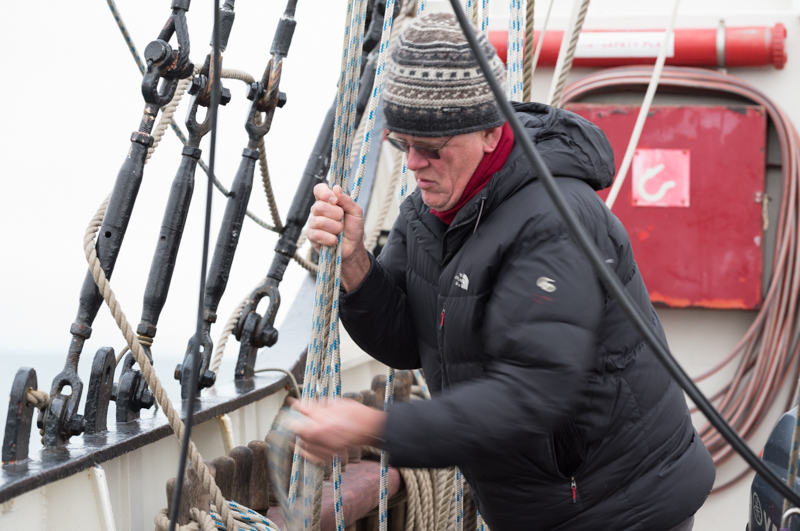 Pulling the ropes to set the sails wasn’t as easy as pulling on the sheets of our Caper Cat back-in-the-day. This required many hands – that worked in unison. 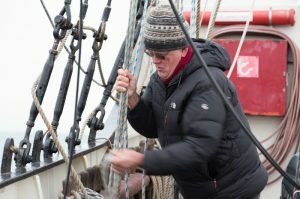 My hands were freezing cold, but I preferred to work the ropes using my bare hands rather than with gloves. 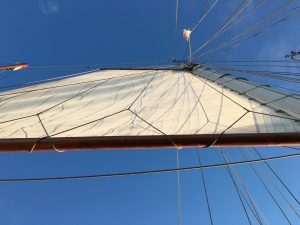 I felt like I had a better grip and it just felt more fulfilling to see the sails fill with wind as my skin was grappling with the strong cold rope. 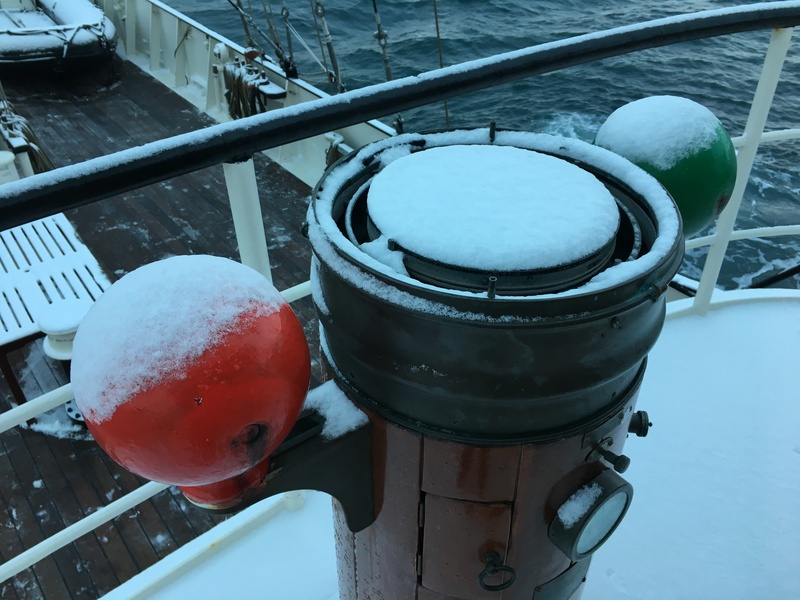 I knew I could always warm my hands up later. As the snow fell in the quickly dimming days, my bare skin searched for my gloves far more quickly over the following weeks. 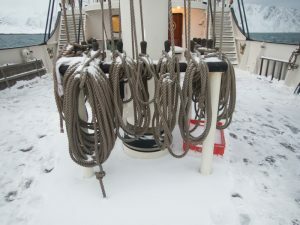 All the ropes must be kept tidy and rolled and hung in their correct placement on the pegs. 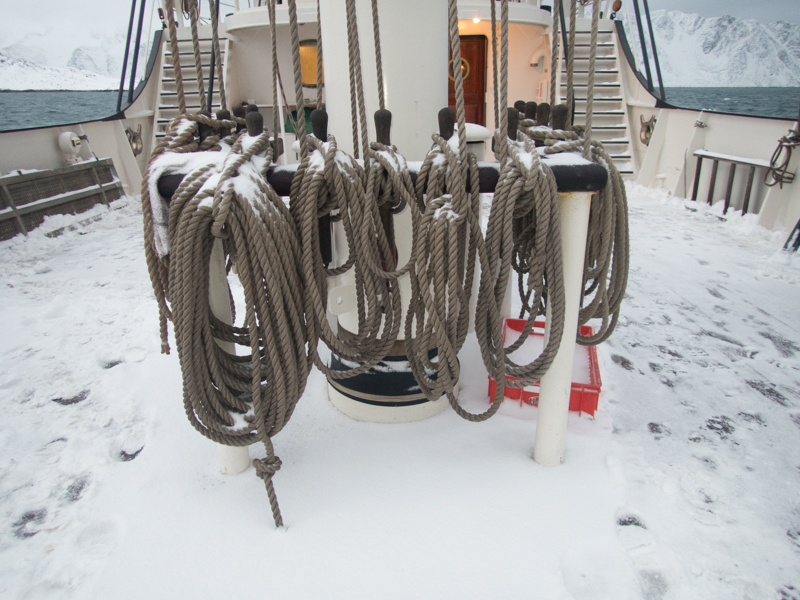 I loved coiling the ropes. 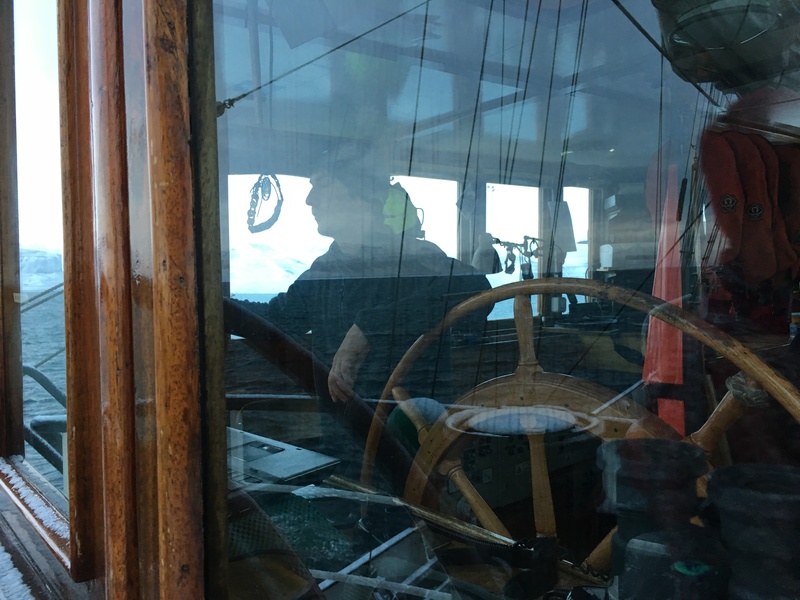 Max loved being like an apprentice deckhand, and for those who know him – know of his incredible aptitude to give a hand and be able to work things out. 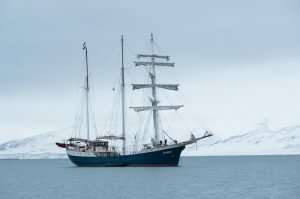 Within a short time Max had it all sorted where each and every rope went on the masts and sails… and for me – to begin with, it just looked like a whole stack of spaghetti spearing into the sky! 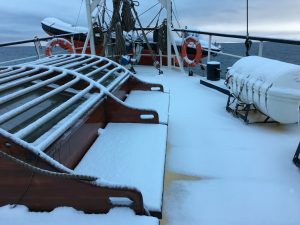 I was keen to sail but Nature had other plans for us. 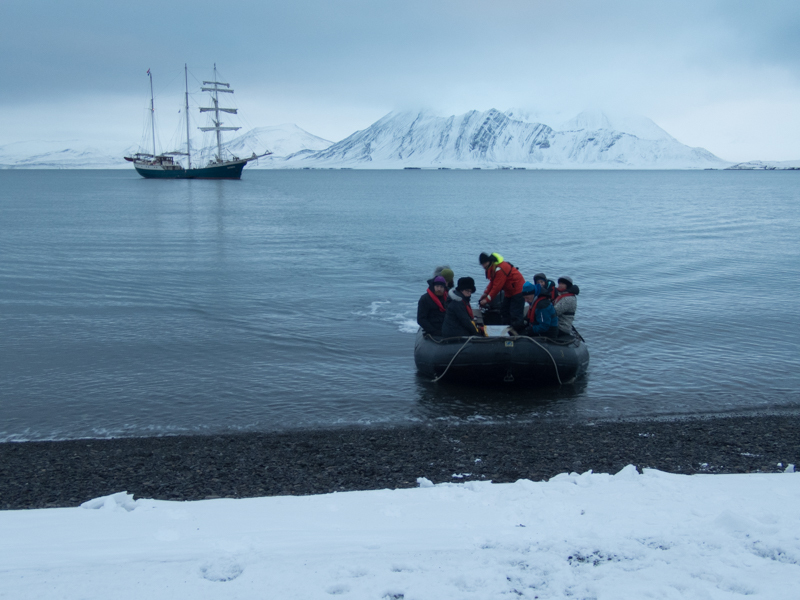 Wisely the captain and crew decided that our journey would be to stay within the protected waters of Isfjord. 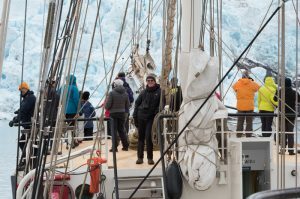 Passengers from another expedition ship, and an Icebreaker returning from the North Pole, had flights booked for them instead of returning to Tromsö by sea. The wind and sea called the shots. 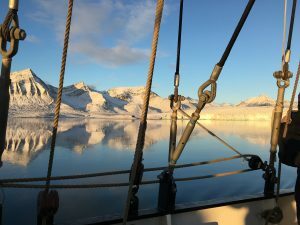 We generally used the engine to sail through the most beautiful fjords and pristine landscape; but when we sailed with the wind… it felt really good… and the boat slid quite differently in the water with the help of the wind. The Antigua is a beautiful ship. 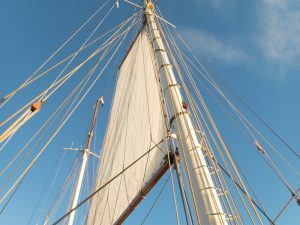 She was stable and felt beautiful in the water. 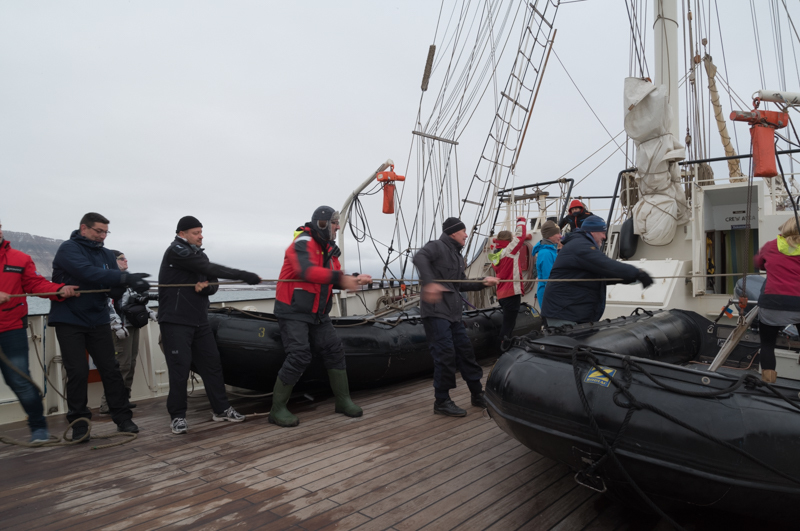 Access to the zodiacs for our shore landings was via a ladder mid-ship, and with my rather short legs the last rung was quite a distance, and I smiled inwardly to myself every time I helped lift my leg on the last step of the rung to the deck. 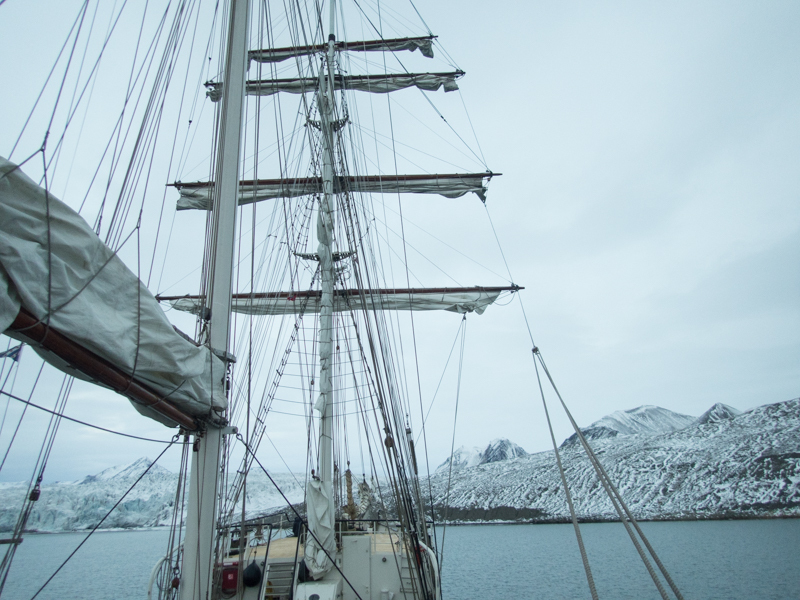 The wind and waves dictated where we went for our journey over the following incredible week…and the weeks following that on the Arctic Circle Residency… and in a way I feel so privileged to have had the opportunity to spend more time poking around the fjords and walking this profoundly beautiful landscape. 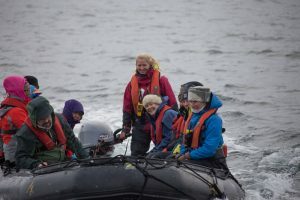 We had the most exceptional Guides and Crew, each of whom has enriched my life immensely through their own passion and connection with the Arctic. 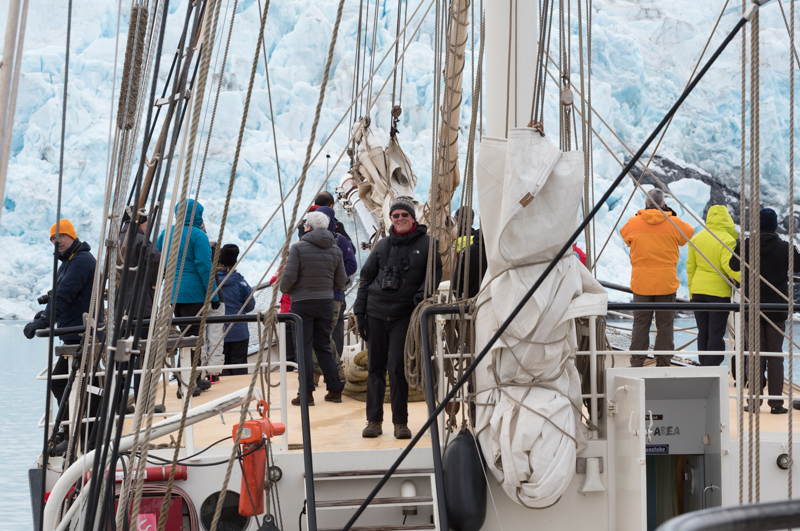 I have so much to share over the coming weeks… so stay tuned for my next update which will include some of the glaciers we visited.